Cannot wait to get it. Very excited! 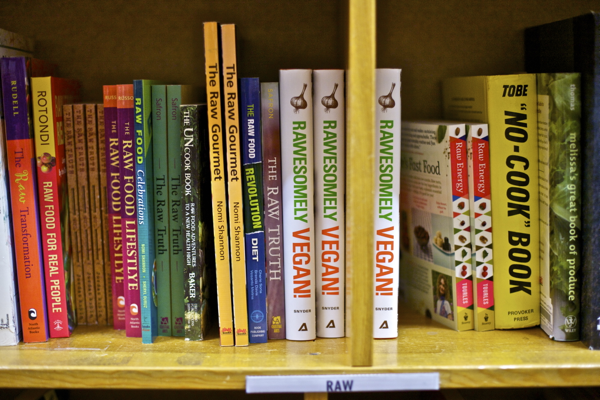 How cool that they even have a raw section! Congrats! 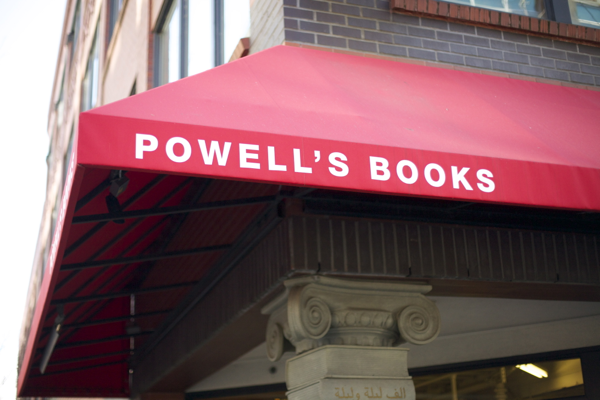 Powell’s books is the best! 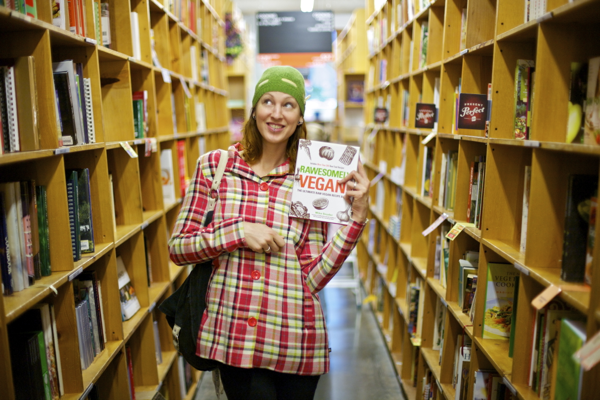 Love their cook book section, which is huge! Congrats! Can’t wait to check it out!! That must’ve felt so damn good! Also, I like how you sort of match the book, haha. Hey, we know that lady! Woot!!! Congratulations! So… how does it feel? First of all, love your outfit. Secondly, CONGRATS!! 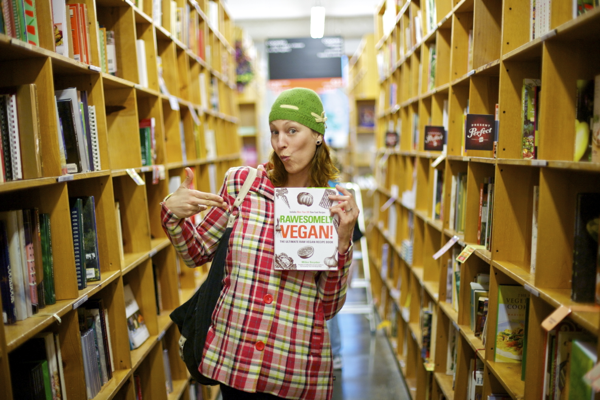 Also, your bookstore has a raw foods section? I’m lucky if I even get a vegan cookbook! Thanks lady! 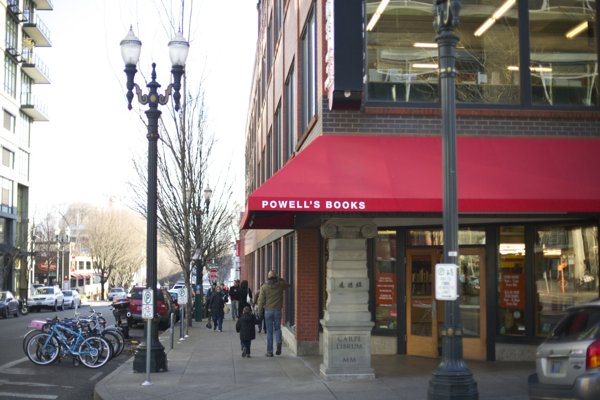 And yeah, Powell’s is the biggest independent book store in the world (for reals!). Another reason to love Portland! Not on purpose, I’m not that together haha. A happy accident though! Thanks for the love and support everyone! Bought the book last night :D Love it! It’s so approachable and simple to understand. Really enjoying it and can’t wait to try some of the recipes! Ahhhhh it is sooooooo gooooood! and soooo worth the wait of pre-ordering : ) my bf is convinced I have sticky tabbed ever single recipe in the book already…I argue that it is only 95% of the recipes lol. I am way too excited about this book! Just bought probiotic powder for starting seed cheese, took advantage of the holiday special at raw food world as per your advice and just received the package today (Squee! ), started a new batch of saurkraut( last attempt molded, boo0) and am sprouting lentil and garbanzos as we speak for sprouted hummus and protein crunchies! Gosh Sayward…you certainly haven’t had any influence on my habits ( I say wearing my umpteenth pair of SockDrems Socks). What would we do without your deliscious genius?! Awww congrats! I love how you match the book! xo! Just ordered this through our campus bookstore, and convinced them to put a few extras on the shelf. Can’t wait to get my hands on a copy of your book! oh, powells! how i love that place…congrats on your book, btw…can’t wait to pick it up! 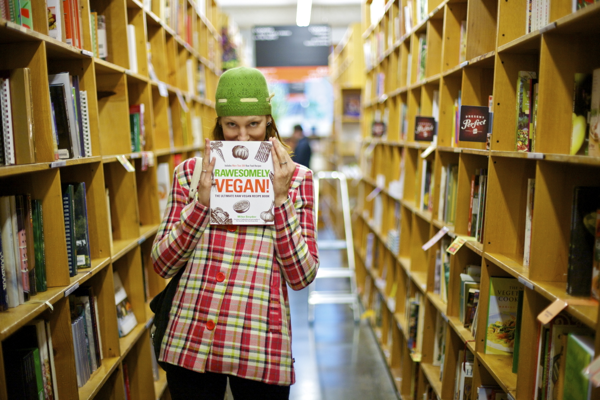 i’m thinking about making a shift to a raw.heavy diet…i’m thinking your book would be a good transition! much love! got this from the library!